Black Bands, Black Football Players And Frank Deford : NPR Public Editor A legendary sports commentator missed contexts on violent hazing by historically black marching bands and on end zone preening by mostly black professional football players. But criticizing another racial culture is OK. It all depends on how, and where you think we are as a nation in racial relations. Members of the Florida A&M University marching band perform prior to Super Bowl XLIV on Feb. 10, 2010. NPR's commentators get to give their opinion, but standards of accuracy and fairness still apply, especially in a public medium. 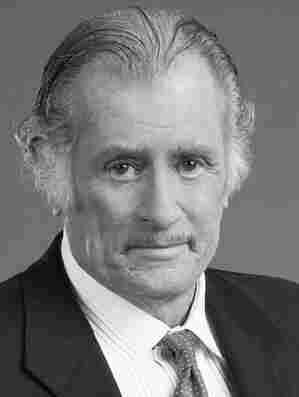 Does anyone get to respond to Frank Deford's racist commentaries, or is he so 'important'? So it was with concern that I received complaints that celebrated sports commentator Frank Deford had offended some African-Americans in successive weekly Morning Edition commentaries. One denounced violent hazing within many of the legendary marching bands of historically black colleges and universities. The other criticized the antics by professional football players after a score or a sack; most of the players are black. "Does anyone get to respond to Frank Deford's racist commentaries, or is he so 'important' we just have to sit here and take it?" wrote Michel Martin, who is herself well-known as the host of NPR's own Tell Me More. "For the second week in a row we've been subjected to one of his unsupported-by-the-facts diatribes assailing the 'culture' of African-Americans." Listener Justin Gabaree of Kingwood, TX, asked of the band piece: "If those same comments were on Fox News would they be offensive to you? Particularly if they were on Bill O'Reilly's show?" The complaints left me floored. Deford may be the most eminent sportswriter in America today. He is the author of 17 books, a long-time contributor to Sports Illustrated, a documentary screenwriter, and, since 1980, a weekly commentator on NPR. I have admired his work for years. I thought of him as an acute moralist, a wistful humorist and a defender of black athletes. And so my first reaction to the racism complaints was: Say it ain't so, Frank! What I found is that it ain't. Your own opinion will depend on where you think we are as a nation in racial relations. But I also found that he unfairly neglected to place the black band hazing within the context of all student hazing. His disparagement of prancing football players, meanwhile, should have acknowledged the racial background of the practice and that he was speaking as a cranky old white guy—though he had every right to criticize. Your own opinion on both matters, however, will depend in large part on where you think we are as a nation in racial relations. The only sure thing that can be said is that we are much improved, but still in transition. This leaves editors with tough judgment calls in a hazy social and moral environment. This also leaves us with that most maddening of prescriptions on what guidelines to follow: it all...just...depends. Even Deford's critics recognized that he nailed the basic facts on violence in black marching bands. He first reported it a year ago on HBO's Real Sports with Bryant Gumbel. He found that new band members at many historically black schools underwent initiation rites that, as he summarized on NPR, include beatings with "two-by-fours, belts, baseball bats, beer bottles; suffering literally hundreds of blows from their older compatriots." I'm sorry, the issue involves race; that does not make those who report on the harsh realities racist. Brimming with righteous anger, he called it "institutional torture" and "horrors" inflicted on male and female initiates alike—far beyond innocent college hazing. What prompted him to return to the subject on NPR was that a drum major of Florida A&M's Marching 100 band died in November. The Florida medical examiner's office ruled the death was a homicide after finding that he was beaten in a hazing ritual that caused severe bruising and internal bleeding that sent him into shock. And so the excuses continued, because HBCU bands are the headliners, literally more popular than the football teams that they play for at halftime. 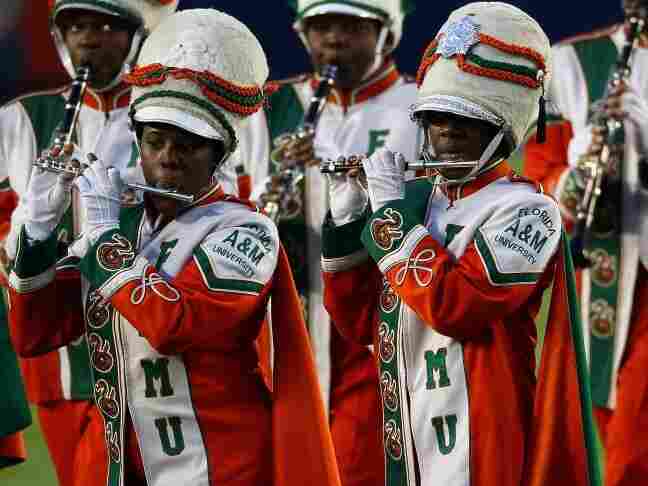 The band director at Florida A&M, Julian White, responded to my report by saying that I was just a prejudiced outsider who, quote, 'made it seem like black schools are the only places where it's happening. That's just not the case.' I'm sorry, but that is precisely the case. It is the culture. The conclusion—supported, by the way, by an African-American professor at the University of Louisville who is an expert on the matter, as well as African-American band directors themselves that I interviewed—is that violent hazing is indeed peculiar to these bands. Would it be racist to point out that only HBCU bands march the unique way they do? That's also the culture. Those familiar with the tradition of torturous hazing in these bands even make a point of tracing it back to slavery, saying the band members must prove that they can suffer and endure as well as their enslaved forebears. I'm sorry, the issue involves race; that does not make those who report on the harsh realities racist. While difficult to embrace emotionally (for a number of reasons), what you have described is not difficult to understand intellectually. If you access the historical trauma literature (Dr. Maria Yellow Horse Brave Heart is an excellent resource), there is a deepening understanding of present day behaviors that flow out of histories of peoples who have been brutalized over hundreds of years. But what Lynn and other listeners also make clear is that brutalization among students is not unique to black band members. The issue turns on whether you think the relevant context is band students or all students. Yes, there do appear to be hazing rituals in many marching bands—but that's the very point. They are mild and more silly rather than torturous. The two HBCU band leaders I personally interviewed conceded that without dispute. The very point of the original TV story I did and then the commentary was to point out that the HBCU band hazing is at an entirely different level of violence. Two to three students die each year, most in white fraternities. I have no reason to doubt his reporting on college bands. My own quick research found that the University of Wisconsin band was temporarily suspended three years ago over hazing allegations, but these involved humiliation, sexual connotations and forced drinking. But if you widen the context to college students in general, the record is abominable. Between two and three college students have died on average each year since 1970 in hazing-related incidents, according to an authoritative list kept by Michael Hank Nuwer, an associate professor at Franklin College in Franklin, IN, and one of a handful of researchers who study hazing. Almost all involved fraternities, though sorority pledges have died, too. Unfortunately, hazing is an equal opportunity disgrace. I mean, we've seen problems with the Latino groups, Asian groups, African-American, historically, white fraternities that have become integrated. And we've had deaths in all of them. What seems to be in common is a group has a certain amount of status and the members within that group that have status are looking for power in some way, shape or form—be it an athletic team, band or fraternity or sorority. The power in a group think type of mentality, where everybody is willing to do anything to keep the esprit de corps, leads to individuals acting as they would not act ordinarily, because they're in the group. That leads to people beating others, making them do forced drinking, taking them on scavenger hunts while they're intoxicated, etc., that they normally wouldn't do. What it also results in is dishonesty afterwards. That's why it's hard for police to investigate it. The groups close ranks, they circle the wagons, they come up with stories and they have a sort of dysfunctional attitude that makes them step back from what they did and not see it until years later. Lawrence C. Ross Jr., author of The Divine Nine: The History of African American Fraternities and Sororities, notes that deaths caused by alcohol poisoning after forcing pledges to drink is most common in predominantly white fraternities, while beating is more commonly a factor in black fraternity deaths. Partly explaining Martin's reaction to Deford's commentary is that in 2009 she reported on deaths in predominantly Asian-American fraternities, who in belying their bookworm stereotype were intent on copying the hazing of their white and black peers. Hazing has spread to high schools, and in October a 19-year old Chinese-American soldier in Afghanistan committed suicide after his platoon mates allegedly taunted him with ethnic slurs, forced him to crawl on the ground, pelted him with stones and made him do push ups with a mouthful of water he couldn't spit out. I myself as a fraternity pledge at Vanderbilt University was roused from bed in the middle of the night and made to run 13 miles in flimsy Keds tennis shoes behind a car in which two older brothers were trying to force me to quit because I smiled too much and seemed not to take pledge training seriously. I was on crutches for the next two weeks. But I didn't quit. Few things are more stupid than a young man. Yes, occasionally deaths occur in other hazings. Is that an everybody-does-it excuse? It's like this coming Wednesday when I'm attacking—yes!—white culture, saying the NHL should get rid of fighting on the ice. Is it worth pausing to say, well, athletes get hurt fighting in other sports too? In football. In the manly game. There's no dancing in football. But because he was insistent in his commentary about the "culture" in the bands—and given the continued propagation of the false racist stereotype that blacks by nature are violent—Deford needed to give the missing qualification to his finding. The recent resurrection of old newsletters published in the name of Republican presidential candidate Ron Paul is a reminder that at least some racial ugliness persists. In one newsletter, for example, "urban youths," meaning of course African-Americans, were described as "animals." Deford could and should have added a short, contextual sentence saying that cruel hazing and deaths are all too common among young people of all races. The violence practiced in many of the top black college bands—though not all of them, as Deford noted on HBO—is awful and deserves his condemnation. But death by other means is no better. Still, none of this is to say that Deford was being racist. He wasn't. Even Martin grants that he "meant well." Football players prance and preen and stomp and strut, and even put on extended little mime routines like Marcel Marceau on a real bad day. It's terribly puerile. It drives the purists crazy. We've gone from three yards in a cloud of dust to chorus boys in the end zone. In football. In the manly game. There's no dancing in football: five, six, seven, eight. This is an old complaint. Its origins go back to the 1960s and 1970s when black football players integrated university teams in the South and began to grow in number on professional teams everywhere. I played on one of the last all-white, public high school football teams in Georgia, and the common ridicule among white fans and players were that black players "showboated." Sports manliness meant acting humble, however falsely, preferably in monosyllables. Martin takes Deford's comments as a revived slur on both black men and black culture. What it is, is a false syllogism. Let's see now, dancing in the end zone is an expression of black culture. I criticize it. Ergo I'm anti-black. (Or is it just that I'm calling all black men, the world over, unmanly.) That's like saying if I criticize kabuki, which is an expression of Japanese culture, then I must be anti-Japanese. Or, if you will, if you don't like what Frank Deford has to say on NPR, because he's on NPR, you don't like NPR. Heaven forbid! If you're going to perform, then you lay yourself open to critics reviewing your art. I guess the NFL is racist because it has rules which penalize players for doing that, as happened to Santonio Holmes [Dec. 18, 2011]. Deford clearly was just having fun on air, with no racist intent. That's like saying if I criticize kabuki then I must be anti-Japanese. In the same commentary, he talked about watching a televised tennis match from the home of Charles Barkley and admiring Michael Jordan's shrugs after a spectacular play. Both are black athletes. Most of all, Deford laughed at himself in his commentary. He noted that he is largely alone in his dislike, as fans seem to enjoy the on-field acting and opposing players aren't offended. He wrote to me: "I certainly appreciate that anything involving race is sensitive, so I always try to be very careful in these areas." But intent is one thing, and history is another. Much like with the black bands, the issue is whether censuring the antics, given its history, is still insulting to blacks and fuels latent racism still existent among some whites. It's OK not to like something from another culture, and it's OK to say so. This is the judgment call. What proportion of blacks were insulted? What proportion of whites hold latent racism? None of us knows for sure. We do know that race relations have lost much of their tension, especially in sports. Few fans care anymore whether a quarterback is white or black, for example. The more race becomes irrelevant, the less the news media need be sensitive about it. But I think that many, if not most, of us agree that we haven't reached the Racial Promised Land yet. Race still matters. That being the case, what are the journalistic rules? The first is that race is mentioned only when it is relevant. The race of a criminal or a crime victim is rarely germane, for example. The second is that when you do talk about race, you do so openly but with a sensitivity to the consequences of your report or commentary. You do not pull punches, but you do accept and treat race as part of American diversity, which has become a foundational American value. This means that when a white commentator criticizes something that might be a reflection of black culture, he ought to stop and think whether he is just a crusty old white guy who may not understand the other cultural expression. Having lived in Japan, I can tell you that this is true in spades for any American of any color reviewing kabuki. It's OK not to like something from another culture, and it's OK to say so, but say it within a frame of cultural honesty. Maybe the antics aren't black anymore. They are just football. Some sort of racial acknowledgment would have made Deford's humorous piece stronger and truer, with the sort of profound insight he shows in so much of his other work. Too bad an editor didn't suggest it to him. Still, Deford's sin is a venial one. This is partly because he laughs at himself, taking away any air of superiority or ill intent. And it's also partly because the extent to which the on-field antics are really a reflection of black culture anymore is fading, and may be gone. So much of pop and urban culture today has been created by African-Americans. What began as black culture in music, fashion, food, religion and speech is often mainstream now. Assimilation and cross-cultural fertilization is part of the glory of America. In that same vein, the good-natured chest-thumping, preening and prancing on football fields on any given Sunday is done today by white professional players as much as black ones, even if the overwhelming number of players are black. Indeed, some African-Americans probably don't like the theatrics either. The antics, in other words, have a black origin, but maybe, just maybe, they aren't black anymore. They are just football. Up Next: A look at reporting on obesity and African-American women.